"Ventura Group built our new home on a vacant lot in the City of Falls Church. Our family both enjoyed the process and could not be more pleased with the outcome. From the design phase through completion, everyone at Ventura was courteous and approached our project with integrity, diligence and remarkable attention to detail. Steve Smith and his team bring an experienced, discerning eye and an understanding of the elegance of simplicity to the myriad choices involved in design, materials selection and project management. Our new home was on time and on budget. We love living here." "We took our architectural plans to several builders and selected Ventura Group to do a major renovation and addition of our Falls Church home. We have no doubt we made the right choice and are very pleased with our home. Steve takes a lot of pride in the quality of his work and was on top of everything that was going on during construction. The entire crew at Ventura Group was a pleasure to work with." "When I bought a crumbling house in a nice part of the city, Steve was the only builder who shared my vision of how great the house could be. From the first wall to come down to the last tile in the backsplash, Steve's supervision and invaluable expertise guided us through the process and helped us keep our sanity. The house turned out exactly as we had envisioned." "My husband and I fell in love with a Ventura Group home in Arlington the moment we walked into it. The house was a few months away from completion and it was an absolute pleasure to work with Steve Smith and his crew on the finishing touches. We have been in the house for 2 years now and couldn't be happier with the quality, design and construction of the house. Steve builds high-quality, beautiful homes. We hope to never move!" "We interviewed several Arlington-area builders before we settled on Ventura Group for the complete renovation of our first home in 2004. Steve's attention to quality and detail and his communication throughout the process led us to enlist Ventura Group again a few years later to build our second new home." "Ventura Group is a first class builder. From exceptional customer service to wonderful attention to detail, they are a true joy to work with. Buyers have found that when doing their pre-settlement walk-through in order to note what needs to completed or fixed in the next thirty days, buyers often find that nothing needs to be done....or just a couple of minor things! 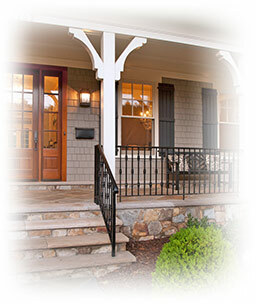 When you hire Ventura Group you can trust that you will have a wonderful building experience and a fabulous new home." ©Copyright 2011 Ventura Group, LLC. All rights reserved. Information deemed reliable, but not guaranteed.